The Russian General Staff reported that US-backed ‘opposition forces’ have violated the ceasefire regime 23 time since its implementation. 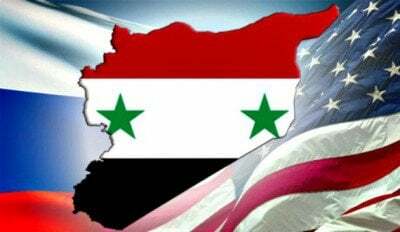 The US-backed ‘moderate groups’ have shelled both residential areas and positions of the Syrian Arab Army (SAA). As result, 6 people were killed in Aleppo and 10 wounded. Russian and Syrian officers in Syria fell under fire while giving a report from Aleppo during a conference video call between Moscow and Russia’s reconciliation center at the Khmeimin base in Syria. The incident took place at the Russia-led observation point at the Castello Highway. The incident clearly shows the real level of implementation of the nationwide ceasefire by the US-backed side. On September 13, the Russian military has established an observation point at the Castello Highway and deployed operative groups in the Hama countryside. Additionally, the Russian military send artillery target intelligence assets to the city of Aleppo to register military barrages and ceasefire violations. The Syrian Defense Ministry has issued a formal warning to the Turkish Armed Forces regarding breaches of Syrian airspace and a lack of communication with Damascus. Syria says that any Turkish aircraft that enters Syrian airspace without prior approval will become a target of the air defense forces. The Syrian Foreign Ministry has also informed that Syrian will not allow any humanitarian aid, especially provided by Ankara, to enter Aleppo without coordination with the Syrian government and the United Nations. This move aims to prevent military supplies to terrorists in Aleppo.